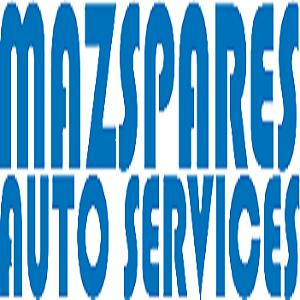 Established in 1974, Mazspares Auto Service is one of the renowned Mazda spare parts providers and are specialized as Mazda car wreckers in Melbourne. Mazspares Auto Service is a one stop shop for efficient, reliable and affordable automobile spare parts for your automobiles. We deal with a wide range of Mazda and Ford commercials that includes Bravo, Tribute, Mazda BT50 Parts, E Series, Ford Ranger Parts, Courier, Escape and Econovan. Besides this, we also stock a large inventory of pre-owned and recycled Mazda auto parts for passenger vehicles that includes Mazda 6 and Mazda 3 parts along with the Mazda SUV range (CX5 CX7 CX9). All our spare parts are thoroughly shelf tested to assure the longevity and reliability of the desired spare parts. Despite having a large inventory if we fail to have any required spare part in the stock, we’ll assure that all your requirements are taken care of by sourcing it through our affiliate network. With more than 42 years of experience, we assure that all your queries are answered in a very fast and efficient manner. For more information or any query, feel free to connect with us at Mazspares Auto Service. Products Carried: Mazspares Auto Services is an established Mazda Wreckers located in Bayswater Victoria. We can wreck all types of Mazda Vehicles. We also supply Mazda and Ford Spare Parts in Australia. Call us on 03 9720 1144 for more info.